It took me a little bit longer to get this film than it should have, the trailer just seemed like a fairly silly collection of improv comedy and indie movie cliches. That said the trailer does the film a real disservice, while it does contain the scenes in the trailer practically every other scene is rich in nuance and character. 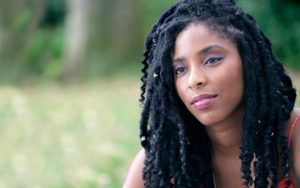 The movie follows Jessica James (Jessica Williams) who is a recently single playwright finding herself few rejection letters away from being forced to give up on her dreams. In the meantime she teaches a theater program to a bunch of cute kids and goes out on painfully awkward dates where she mostly talks about her ex boyfriend. One of those dates serves to introduce Boone (Chris O’Dowd) who is a recent divorcee and is in a similar state of inability to move on. It was actually nice to see Chris O’Dowd play a relatively large and complicated role, since he seems to mostly just show up for a few combined minutes of screen time in movies like Bridesmaids. While this complicated relationship is not exactly the center of the movie, I want to point out watching these two comedians try to be ‘totally honest’ with each other does produce a lot of really funny exchanges and moments. Those familiar with Jessica Williams comedy in the 2 Dope Queens podcast know what to expect in terms of wit and charm, but her dramatic scenes are just as impressive. She alternates deftly between passionate artist, staunch idealist, no nonsense New Yorker and wounded, sensitive soul. Those are all the same person, the character of Jessica James. Ultimately what the movie is about is seeing Jessica mature and get out of her head, realizing that even when she is correct she might still be doing the wrong thing. I was also very fond of James C. Strouse’s directing, keeping the camera close on the actors and producing either very intimate or very claustrophobic feelings depending on the mood of the scene. It is through these feelings of intimacy and unease that we identify with the caracter, and it gives the protagonist and us the viewers a sense of relief when we finally are able to see the bigger picture. 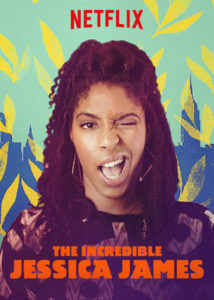 Jessica Williams appears in The Incredible Jessica James by Jim Strouse, an official selection of the Premieres section at the 2017 Sundance Film Festival. Courtesy of Sundance Institute.